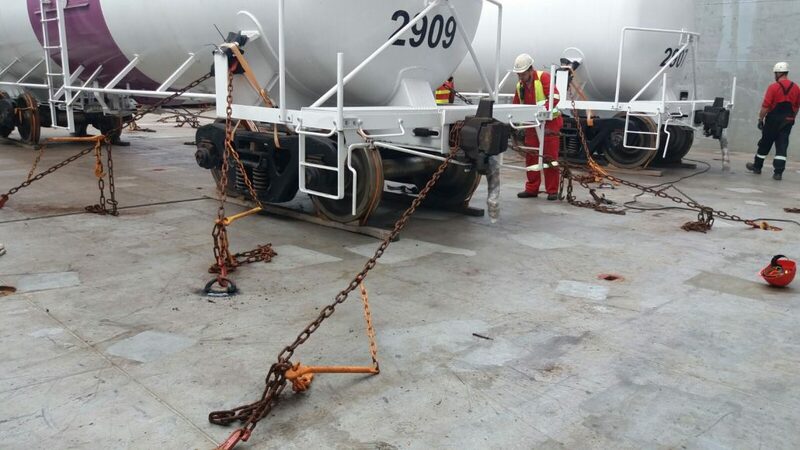 Embarquement de 118 rails de 25 mètres le 18 octobre - Grupo Startrans, S.A.
On October 18, 2017, a total of 118 railroad tracks of a length of 25-meters and 180.-Gross weight tons, together with 4 tank cars suitable for the transport of Sulfuric Acid, were shipped from the port of Gijón. weight of 112.-Tons. 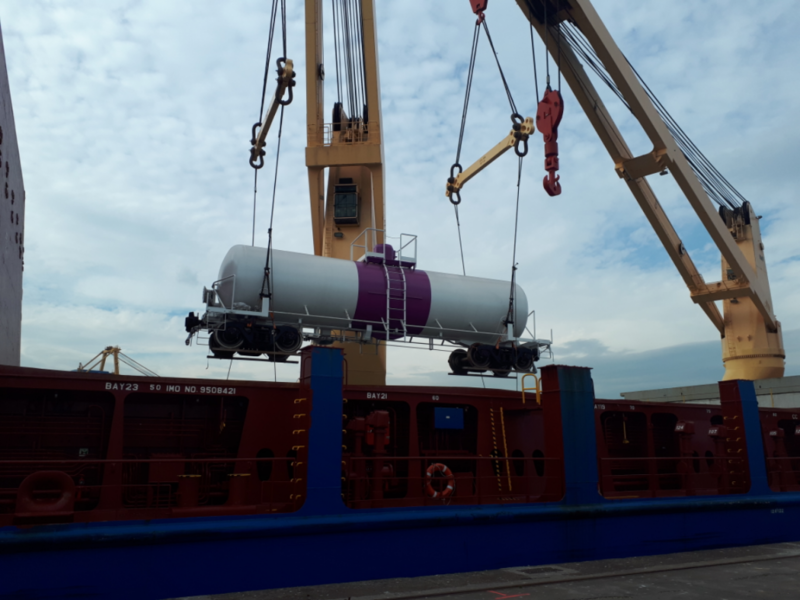 The final destination is the port of Ilo in Peru. 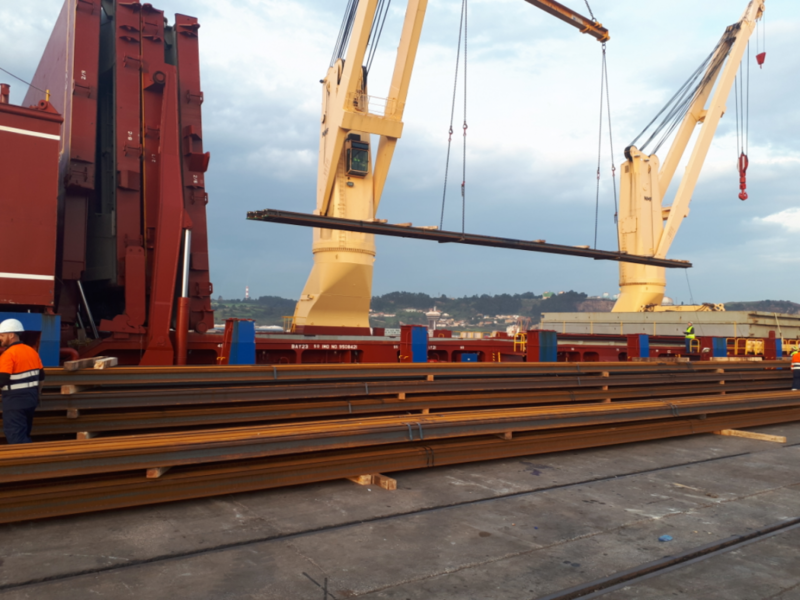 The weights and dimensions of the cargo, required the use of special transport, for the transfer from warehouse of the exporter to the port terminal of Gijon, for later boarding on the ship BBC KIBO, chartered only for the transport of these rails and tank wagons. 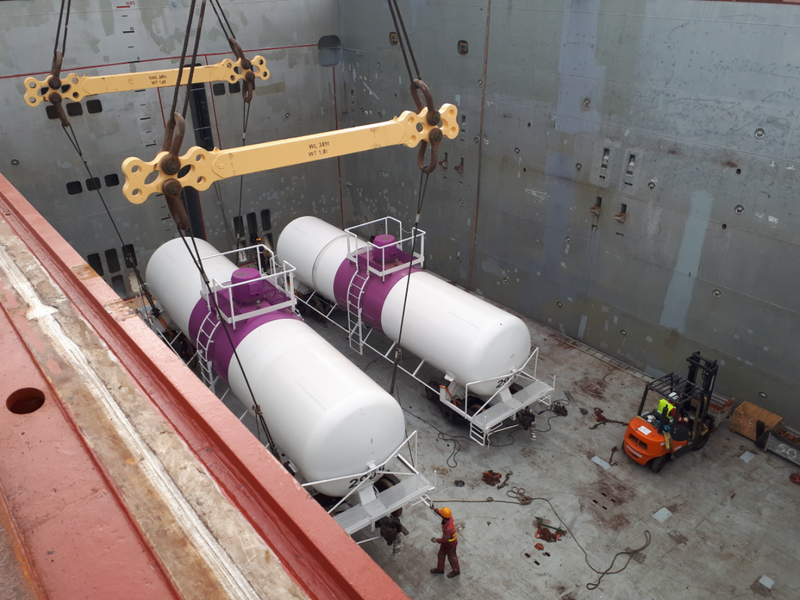 The entire operation was coordinated by STRATRANS, given our extensive experience in transporting large-volume merchandise for the mining industry, in this case.